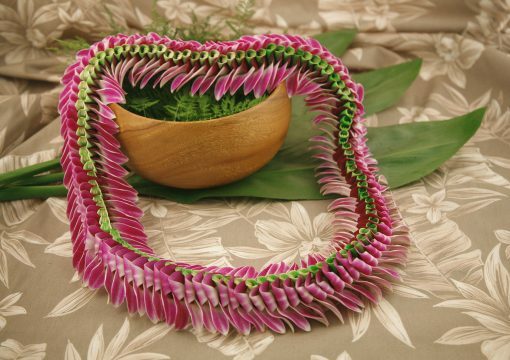 Categories: Graduation Leis, Green Leis, Hawaiian Flower Leis, Hawaiian Leis and Corsages, Men's Leis, Premium Leis, Purple Leis. 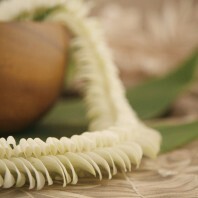 The Kau (ka-oo) district of the Big Island lends its name to this intricate lei. 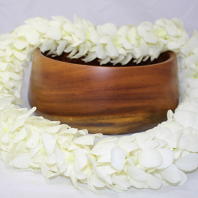 Inspired by the southern slopes of Kilauea Volcano. 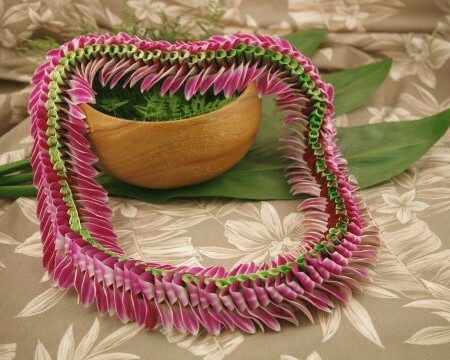 This is a purple lei with green in the center. 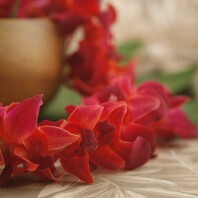 All carefully sewn to bring out the remarkable details of each flower. 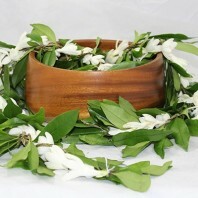 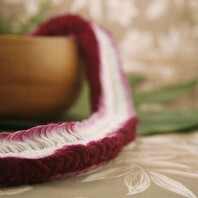 The Kau lei can be worn by men or women. 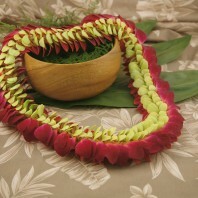 It goes well as a graduation lei or any other event to honor the wearer. 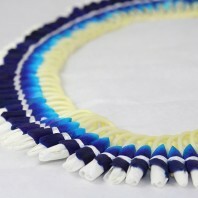 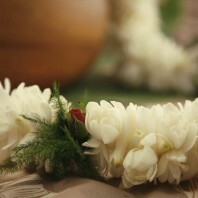 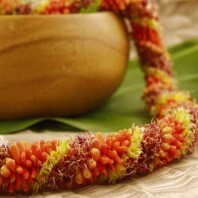 Because of the time it takes to create your lei the Kau has a 7 day advance order requirement. 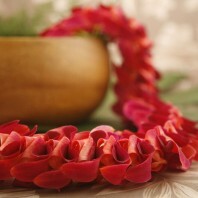 So please order early and select your arrival date. 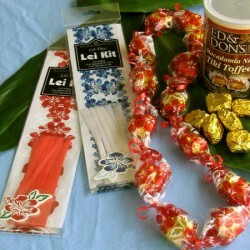 Refrigerate this lei in a closed bag prior between wearings.